COMMENTS: I don't know about anyone else but I love this heart shaped clamshell. 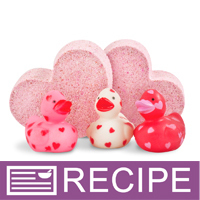 It's perfect for valentine's day as well as special product lines. I personally use this for my Disney product line. Great for bath bombs. 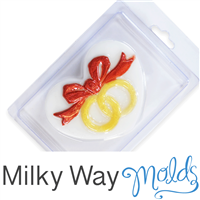 COMMENTS: Plain and simple heart mold, exactly what I needed! Simply pour and snap on the top once hardened. I've found the soap to be difficult to remove if filled to the very top, so leave a bit of space to allow a grip on the plastic and pull away from the soap to allow air in. Easily unmolds if you pry open the sides first like that. COMMENTS: We use this product to put our lotion bars in. 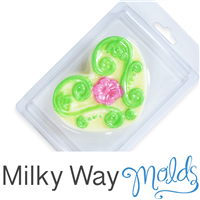 They work very well and you can pop the lotion bar out, use it, place it back in the mold, and reseal it. 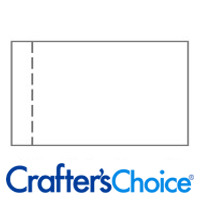 COMMENTS: These are perfect for hanging and displaying your product.Love These!!!!! COMMENTS: I used these for my daughter's Spa Birthday Party ! I had all the girls make their own soaps and after they had solidified we closed them and I made some cute labels that said Ashley's Spa Party. They looked so cute and the girls were thrilled by taking home their own handmade soaps. COMMENTS: I used this mold for Melt and Pour Soap. It made a great all in one mold for mailing. The plastic mold and lid give additional support to your shipping packaging so you don’t have to worry about the soap being dinged up in transit. 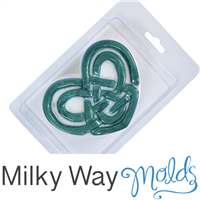 The mold is very easy to use. They are a nice size and the shape is appealing. Mine looked very nice with small heart embeds. COMMENTS: Very cute for Valentines! And best of all...just pour, pack and ship! "Is there shrink wrap that would fit around these to prevent them from being opened until bought?" Staff Answer The 115 x 55 band would work well for the clamshells. Staff Answer These molds are made of clear PVC plastic. You would need to check with your local recycle center to see if they will accept this. "How are you supposed to remove the soap once it hardens? I used this for some MP, and now I can't get it out of the clamshell! The plastic is starting to crack, and it will be destroyed if I push any harder. Are these one use only?" Staff Answer The clamshells are meant to be a mold and packaging all in one. They are a one-time use product. Once the soap is unmolded, the clamshell should be discarded or recycled. "Can I use these to make bath bomb shapes?" Yes you can but the citric acid could make the plastic pit so use with caution. Yes, you can use these. Just make sure to pack the bath bomb mixture in tight. 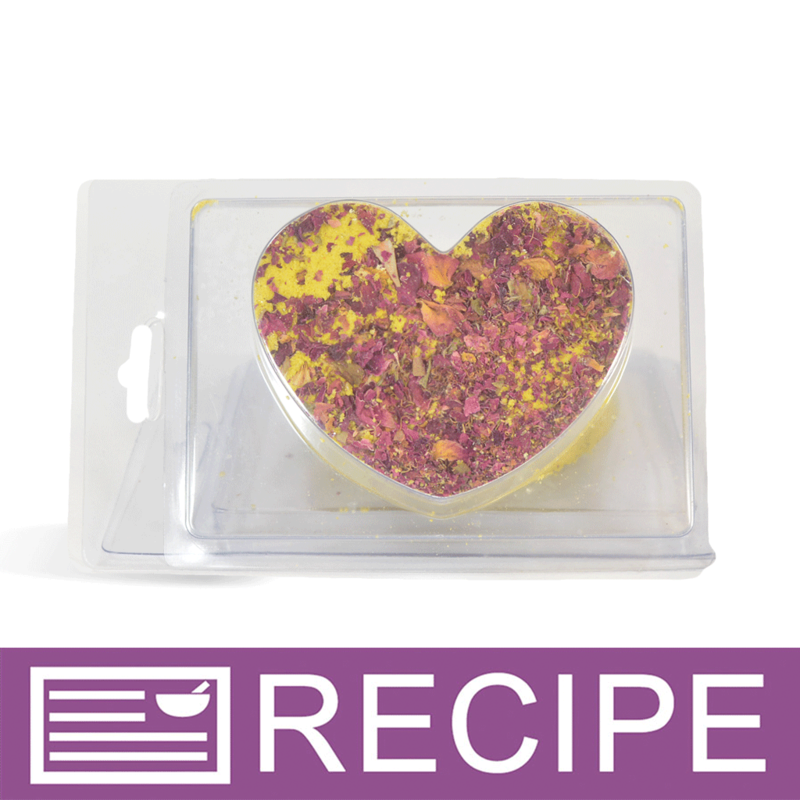 "Can the Plain Heart Clamshell also be used as a clamshell for wax melts? " Wax can be poured anywhere from 120 degrees F up to 140 degrees F. This will work for wax tarts if needed.